For those who love a good book as much as we do. 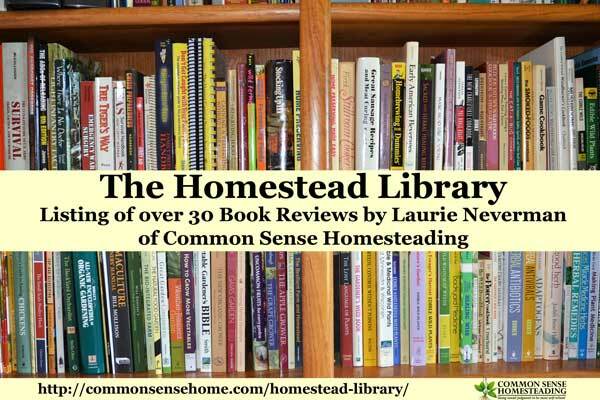 This list of homesteading book reviews includes homesteading, cooking, preserving, wildcrafting, herbalism, preparedness and more. 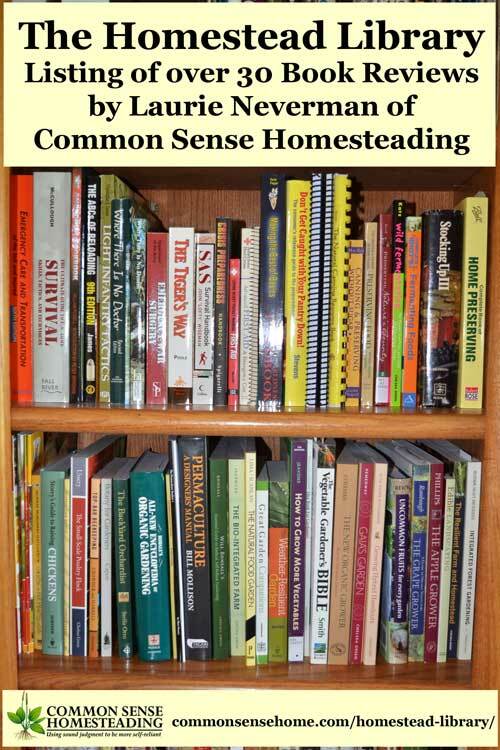 There are so many amazing books out there that you can add to your homestead library to help you on your journey. Some of our books are furnished for review by the publishers, some I've purchased. Herbs Gone Wild! – Beauty Gone Wild! – Hair Gone Wild! The photos at the top and bottom of this post are from my own personal bookshelves, so you can see I've got no shortage of reading material. 😉 If you see a book title in the top or bottom photos that you'd like to know more about, please ask, and I'll do my best to get a review up sooner rather than later. I love a recipe from The Whole Beast that involved bone marrow. Yum! I tried one of the marrow recipes, but I’m not sure if I prepared it correctly because it wasn’t very tasty. I’ll keep trying! Not yet. The review posts didn’t get too many views, so I’ve started mixing book suggestions in with related posts. Is there a specific topic that you’re looking for? I’d love a list of the books too. Even a list with a comment or two on your opinion of them. !!!! 🙂 Pretty please! I’d recommed Stocking Up lll. I have the original book, Stocking Up ll and now the 3rd. Everything about food preservation from canning to pickling, freezing, drying, etc. It’s a good read. I’ve got that one, too, and also recommend it. Very nicely written blog.It gives very vital information to the people who are unaware of this kind of topics.Keep posting like this.Thanks a lot!! It will really help me to explore my mind with these blogs. Thanks Again!! And Please Keep sharing!!! Is it available from the Amazon Australia website, or maybe directly from the publisher?